Reinforced seams and sleeves type dolman (without seams on the shoulders). 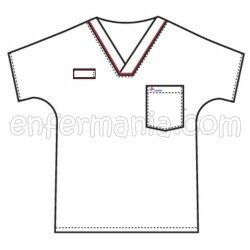 Chest pocket and loop for stethoscope, identification, or pen. Almost 50 years ago, five seamstresses began sewing uniforms in the basement of the little shop of Landau. Today, Landau has thousands of distributors and is present in all the world, being synonymous with quality. When wearing a uniform, Landau, note that it is made better. The popularity of the uniforms Landau begins with the preparation of a tissue unique that sets the standard in the industry. Before sewing a single point, we test each roll of fabric to keep the consistency, durability and color fastness. Our demands are high. When the fabric is not up to our standards, simply discard it. In Landau we do everything possible to make sure that all the colors in our collection to keep the exact shade in every garment, even the solid colors to prints. Our exclusive process of dyeing and finishing of soundness ensures that each color of the garment stays vibrant and true. 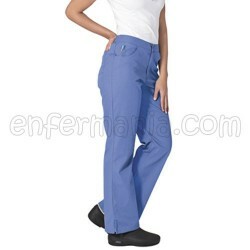 Landau changed the design of the uniforms for good, when it introduced a whole range of colors, almost 30 years ago. We were also the first manufacturer to introduce prints into our collections. Today, our team of designers continues to draw inspiration both in the trends of the fashion world and customers like you, the world of work, to create stylish designs that are comfortable and attractive. Will never bother the seams when you wear a uniform to Landau. The making of our pants leads to patterns of engineering for your maximum comfort and range of motion, it does not matter if you are sitting or standing, if you walk or have to bend down. Through the creation of our own patterns and taking into account real professionals of the health, of all shapes and sizes, we ensure your fit is comfortable in all styles and in all sizes. While other companies just add more fabric to the measurements of a garment to increase the size, at Landau we scale our uniforms in a proportional way to adapt to your body, so if you wear a size XS as if she is wearing a 2XL, you can trust that a uniform, Landau will always stay perfect. For Landau, the details are everything. You could even say we're obsessed. That is why we meticulously inspect every roll of fabric we make, every individual design for every style and every garment we sew. And when our uniforms are finished, we go and inspect again. 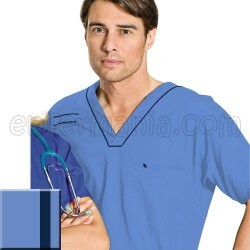 We make uniforms so that we can be absolutely sure that every garment Landau looks very good and stays perfect wash after wash, wear after wear. When you put Landau on the label, you know that it is done better.